Employees clock into jobs and tasks to record their time. 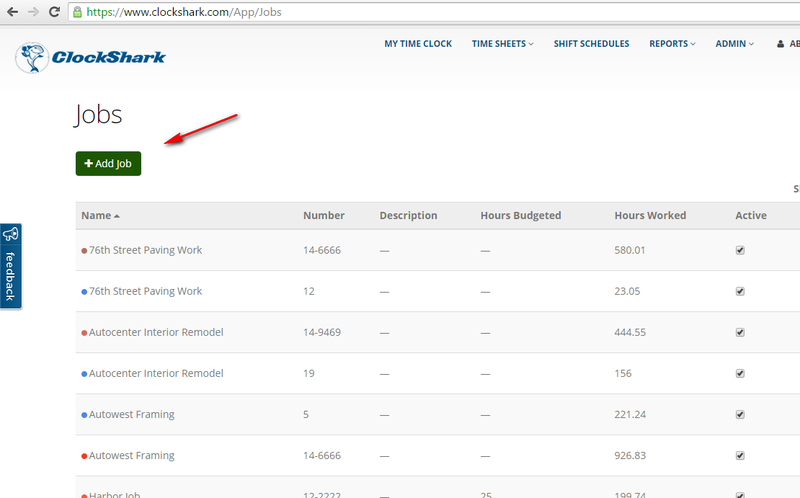 Jobs can also be added to the employee scheduler via the Schedule screen. When a Job is completed, you can delete it or inactivate it. Deleting or inactivating a Job will not delete the Job's past recorded times and they will still show up on reports run for the date range when the Job was active.